The U.S. is facing an unprecedented challenge in countering the propaganda of adversaries who recruit and easily spread misinformation through the Internet, a top defense official told a House panel Oct. 22. While there are many benefits to being in a cyber-connected world, there is also a “dark side” that adversaries are taking advantage of, according to Michael Lumpkin, the assistant secretary of defense for special operations and low-intensity conflict. “The scope of our current challenge in the informational space is unprecedented,” Lumpkin told the House Armed Services Emerging Threats and Capabilities Subcommittee. Joining Lumpkin at the hearing were Army Maj. Gen. Christopher Haas, the director of the force management and development directorate for U.S. Special Operations Command, and Air Force Brig. Gen. Charles Moore Jr., the deputy director for global operations on the Joint Staff. The military has a critical role to play in countering adversarial messages, Lumpkin said, noting it is a contributor of unique capabilities and a partner to the whole-of-government effort led by the State Department. The Defense Department’s first all-electric, nontactical vehicle fleet recently completed its final vehicle-to-grid certification testing at Los Angeles Air Force Base, California. The test was conducted by the California Independent System Operator and Southern California Edison, and highlights a milestone in the Air Force’s plug-in electric vehicle — the V2G project. grid when the utility needs the extra power. “The test marks a breakthrough in emerging technology because it allows for the PEVs to not only offer a clean-fuel alternative for our vehicle fleet, but also serve as resources to the electrical grid when they’re not being driven,” said Dr. Camron Gorguinpour, the Air Force’s director of transformational innovation and project administrator. Waking up to three missed calls from his sister was alarming enough, but then he discovered his 10-year-old great-niece, Kyra, had been admitted to the hospital. At first, Master Sgt. Wendell Barnes, the 35th Aircraft Maintenance Squadron commander support staff superintendent, assumed Kyra was being treated for her sickle-cell anemia because she was often in and out of the hospital for blood transfusions. But this time was different; the cause was intense head pain. Instead of assuming that the cause of her pain was sickle-cell anemia, the doctor ran a number of tests but determined the disease caused the red blood cells to be deficient in carrying oxygen to her head. 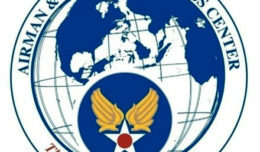 Every day, Air Force organizations and personnel are reminded of the importance of operations security and cybersecurity, and how integrating them into day-to-day operations helps protect proprietary and sensitive information from disclosure, espionage and exploitation. Virtually every mission across the range of military operations depends on cybersecurity and every Airman is tasked to defend and protect the domain. Even at home, OPSEC and cybersecurity together can deter those who strive to exploit information for personal gain. 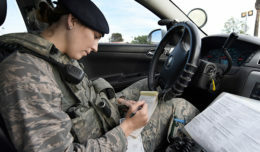 Twenty-first century warfare has quickly extended beyond the traditional domains of air, space, land and sea,” said Lt. Gen. William Bender, the Air Force’s chief information officer. “Cyberspace has emerged as the latest domain. From fuel pumps on the flightline, GPS link on weapons platforms, to the computer on your desk — every system that operates in and through cyberspace represents a vulnerability to the domain.